dressed up like a lady: A pretty place to put pretty things. A pretty place to put pretty things. I'm all smiles. 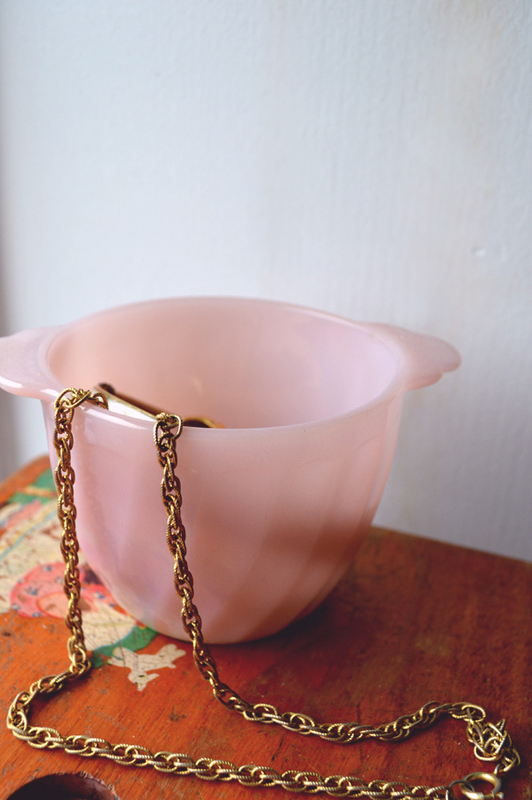 MC surprised me with this adorable pink glass art deco sugar bowl from the antique store across the street. And he specifically got it for me so that I have somewhere to put jewelry I impulsively remove in the kitchen, while in the midst of cooking (something I am known to do). I'm such a lucky girl. For the record, the only food that's actually threatened to get stuck in my rings is pie crust dough.